Renee graduated from Wayne Community College in 1994 and was honored by receiving the Clinical Achievement Award. Renee has been Dr. Matthews’ assistant since 1999 and is married and has one daughter and a dog. When not helping Dr. Matthews create beautiful smiles, she enjoys fishing, swimming and spending quality time with family. Brianna is a resident of Goldsboro where she grew up. 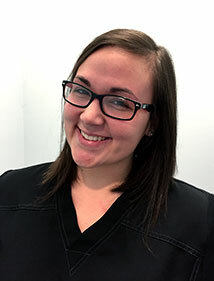 She is a 2015 graduate of Wayne Community College Dental Assisting Program and joined Dr. Matthews' staff in 2015. Brianna spends her free time painting and spending time with friends and family. Brittany was born and raised in Deep Run. She is a 2012 graduate of Wayne Community College where she earned her Associate Degree in Dental Hygiene. Brittany joined Dr. Matthews’ staff in 2013. She spends her free time hunting, fishing and playing with her dog Callie. Leigh has been a dental hygienist for 36 years, 26 of them in our practice. She attended the dental hygiene program at Wayne Community College. 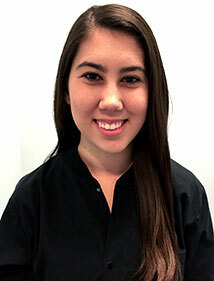 She loves working with people and forming lasting friendships with patients. She enjoys gardening, reading, and hanging with her two pups Chief and Max. She is married with two grown children. Tina grew up in Kinston and now resides in Ayden. She is a 2005 graduate of Wayne Community College where she earned her Associate Degree in Dental Hygiene. 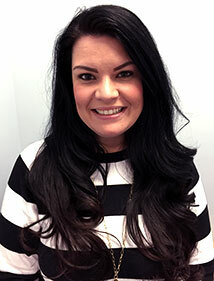 Tina has been a member of Dr. Matthews’ staff since 2005. She is married and has two children. Outside of the office Tina enjoys spending time with family and friends. Miranda is a Kinston native. She graduated from Wayne Community College in 2015 with an Associate Degree in Dental Hygiene. She is married and has an adorable dog named Elvis. She enjoys baking and trips to the beach. Linda has been a resident of Duplin County for 46 years. She is married, has one daughter and 4 granddaughters. Linda has been a part of Dr. Matthews’ staff since 2003. When she is not multitasking at work, you can find her cooking for family and friends, relaxing by the pool and playing with the family pets. Despite having lived in Greenville, Wilmington and now Dover, NC, Stephanie has always considered Kinston home. She joined the staff in 2015. Stephanie spends her free time with her boyfriend Aaron, and their pets, Luke and Mango.